Administration, Sales, Marketing, Office Support, Administrative, Executive and Personal Assistant, Accounting, Finance, Human Resources, Management, Legal, Property Management, Customer Service, Clerical, Professional Recruiting, Staffing and Executive Search . Our firm has been using David Wood Personnel since our inception almost 12 years ago. It's our go-to resource in time of a temp or temp-to-perm staffing need. We've even received calls from the recruiters when were weren't in need BECAUSE, they had a candidate who met all of our VERY SPECIFIC requirements. A professional firm with professional staff, constantly exceeding expectations! Love, love, love David Wood Personnel in Plantation. The people who work there are truly very professional and thorough. From the beautiful lady at the front desk to my consultant, I have nothing but praise. They are serious about your career success and they come through for you. Highly recommended!! They simplify the process and can answer any questions. I would recommend their services. There are not enough compliments that I could give to say how great this company is...from their promptness in finding work that fits for both the employer and myself, to the attentive care they show when I have questions. The recruiters are simply good at what they do. They really know how to evaluate your talents and fit you for the right position. Both experiences I have had with them have been wonderful. I would highly recommend using their services to anyone looking to find a solid career!!! Staff in the Plantation office is extremely pleasant to work with and helpful. I reached out to a recruiter regarding a job posted on the website and he answered me within only a few hours. I was able to meet with him the same day and already have an interview lined up. Very happy to be working with this company! Always happy to deal with my recruiter! I feel confident I will get work through this firm and I highly recommend. My experience with David Wood Personnel has been nothing less than excellent. The recruiters that worked with me took the time to understand what I was looking for and matched me with great companies. Without hesitation I recommend David Wood Personnel. Great experience so far, decided to just stop by and see what it was about, ended up working with a great recruiter. Happy to have someone on my side! One of the best employment agencies I've ever experienced. My recruiters were friendly, attentive, and there to help me in every way they could. I felt that we had known each other for years. Highly recommend them!! Nothing but praise for David Wood I have used David Wood services for several years now. I have found them to be excellent, in matching not only my experience and background but also my aspirations. Their staff has always been very professional, proficient, helpful and friendly. I have just accepted a permanent position with an established company and I can express my gratitude and thanks to the entire David Wood staff. I highly recommend your service and staff. David Wood works quickly and efficiently when placing an employee with a high quality, established employer. I've been signing up with David Wood for 20 years. Every time I return to Florida, David Wood is my first stop. A few months ago, when I requested my David Wood Recruiter place me in the town where I live, she said she already found something for me on my street! I've learned an incredible amount about real estate in my David Wood-placed position with a firm with 50 years of experience! And a five minute walking commute to boot! My recruiter was amazing and worked miracles for me to get great placements. She continues to help me find full time employment and is always encouraging! One of the best employment agencies I've ever experienced. My recruiter was friendly, attentive, and there to help me in every way they could. I felt that we had known each other for years. Highly recommend them!! Great agency!!! Thank you for your help. I have worked for and know this staffing company for over five years. They are very professional and caring people. Would highly recommend to anyone needing their services. I found David Wood after I had been living in Broward County for almost 5 months. I have a great resume but was struggling to get my applications opened through most traditional job hunting websites. I just didn't have the connections here. I submitted my resume and was contacted within a day and had an appointment within an additional day or two. They went over my entire work history and placed me in a temporary assignment a few days later. All in all, I do not think more than a week passed from the time I met with them to the time I started my first assignment. After about a month, they found the perfect temp-to-hire position for me. It is one of the best jobs I have ever had. I was hired on with the company full time after about 2 months and could not be happier. I would have given 5 starts; however, I felt there were a few areas where they could have done better. I was a little discouraged in the original interview from switching from my current field (one that I hated) despite my experience in administration and I felt the closing process could have been smoother. I was told that I was being hired on by my company, but never heard a word from David Wood which I found awkward, for lack of a better word. I would be more than happy to expand if needed by David Wood, please feel free to reach out. Overall, I absolutely recommend David Wood as a staffing company and am grateful for all of their help. My experience with my recruiter at David Wood Personnel has been amazing so far. Since day one, she guided me through the hiring process, and she also stayed in touch with me as far as how I am doing at work and always ready to help if I had any questions. I would recommend David Wood Staff again; they are doing a great Job!!!! I had a great experience at David Wood Personnel. The moment I stepped in I felt like I was accepted, the care and respect given to me was amazing. I would recommend this experience to anyone who wishes to follow their career. I was unfortunate enough to have had my position eliminated at my former workplace. I was truly fortunate to have been referred to David Wood Personnel. They took a true interest in my search for a position and they did so with heart and professionalism. They immediately had results for me and I am currently in a position which I love. Thank you David Wood Personnel. I highly recommend David Wood Personnel if you are in search of employment. Thanks David Wood for helping me transitions my career! My recruiter recognized my potential right away and was enthusiastic about getting me placed. She found work for me within a week!!! She is so helpful and always tells me to contact her if I need anything. Highly recommend! Excellent service. Very professional and always find the right candidate for us. Best Recruiting agency in South Florida, I found a great opportunity in about a month. I highly recommend! Beyond pleased with this company! Their team did an amazing job getting me placed and quickly. I would definitely recommend this company to anyone seeking assistance for employment! Dealing with David Wood recruiter was a very nice and professional experience. Always following up with me through e mails and phone contact. Very professional. I have been there only 3 weeks thus far and the staff morale is like no other. The cohesiveness which the staff employs also enhances your daily workflow and spirit. There are no pressures to do what is required of you and an environment like that will spur you to produce. Thanks David Wood Personnel. Thank you to my Rep. at David Wood Personnel. My recruiter has been extremely helpful. She is thoughtful, listening to her clients and ALWAYS follow-up with an email or a phone call. There is no ambiguity with her! I will use them over and over again. Thank you, David Wood Personnel! My rep always so helpful and has found me great jobs. I’m so happy with David Wood! David Wood personnel, they really try to find the perfect job for you. My experience has been one of a kind. I would recommend them to anyone in need of a job. Thank you for your help. Staff is very personable and really listens to what your needs are. Overall had a very pleasant experience working with them. Amazing. They truly care about helping people find the right job. Everyone is kind and always willing to accommodate to schedules. I was directed to an agency and was met by a recruiter which led to my first assignment in a short period. For me migrating to the US it was a wonderful experience where the recruiter was helpful and supportive in my job search. Thank you recruiter for a job well done. I had a great experience with this company. The receptionist was very helpful and nice, and the recruiter (Jonathan) is one of the best out there, He's willing to work with you until he finds something that matches your career perfectly. I was very pleased by their effort to work with me. Overall, this is a 10 out of 10 organization. Keep it up guys! They generously shared their expertise and experience with me, and I am truly appreciative of the care, support and professionalism that has been a constant ever since I made that initial phone call to their office. My recruiter is the ABSOLUTE BESTEST EVER!! I am truly grateful that they chose me to be an integral part of the David Wood Personnel family! Awesome recruiting service!! A recruiter helped me get the perfect job less than a week after initially contacting the company. Very hard-working & professional people. 5 star service. You don't find many companies like David Wood Personnel.. they give you their undivided attention at all times, making sure that you are comfortable and most importantly pleased with the jobs that they find you. From the front desk, to the agents that assist you they give you their 100% effort at all times. This company truly makes wishes come true for many of us and I am forever grateful for their amazing efforts in helping me find a job where I feel comfortable and stable. I have utilized their services a couple of times over the last 15 years and my recruiter has consistently found great opportunities for me that turned into long-term assignments. She's great at listening to my needs and matching me with the best employers. David Wood Personnel in Plantation has the most professional staff I have dealt with in a long time. It is a pleasure to work for them. Great agency! My recruiter was wonderful to work with, was able to quickly assess my skillset and was able to place me with a professional team at a great organization that represents my personal values. Can't get any better than that! My personnel advisor knew what positions would be beneficial for me and the potential employer. Their assessments let you know where you stand as a candidate. I am thankful I found David Wood Personnel. I strongly recommend them for career placement. My Rep was amazing. She placed me in two companies to gain experience until she found me the perfect job. She always called me when she heard of openings and was quick at responding if I had a question. I wouldn't have found a great job if it wasn't for the David Wood Staff. They were very responsive, and got me an amazing opportunity very quickly. This is my second assignment through David Wood and the assignments have been great! The staff is very personable and professional!! I would recommend David Wood everyone!! 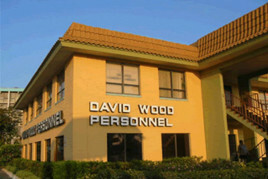 David Wood Personnel is the best employment agency in South Florida. Their Staff Members’ are so kind and friendly. I had a very positive experience as a temporary worker for David Wood. Today, I’m working for one of their client companies. If you’re looking for a job, I would definitely recommend David Wood Personnel. Extremely fast and matched me to an employer that was a perfect fit. The staff and recruiters at David Wood are wonderful to work with. They really took the time to learn about me, my career goals and my work needs to find the right fit. After attempting to "job hunt" on my own for months, I discovered David Wood Personnel. I wondered why I tortured myself for so long! I am so happy I found them and I am looking forward to my future again - I was losing hope! It's like trying to cut your own hair...it's a mess until you go to an expert...Thank you guys!! My initial experience with David Wood Personnel far exceeded my expectations. Everyone with whom I had contact was courteous and genuinely interested in providing the best service to meet my needs. It's been about 13 years since I've worked full-time in the workforce. I have been worried about going back to work since my full-time job as being a stay at stay-at-home mother, I’ve been worried about how to make that first resume and how to make that first initiation. I remember the last major corporation that I work for send Leah came to me that David would personnel was the one that landed me in a great opportunity in my life!! I made a quick phone call and ironically the same lady who helped me 13 years ago answer the phone!! She made me feel very comfortable and was actually able to pull up all my past information in their system she made the process of coming in for an interview. And a smooth! It helped basically break the ice with me! Not only am I am mother but now I am employed full-time and very grateful. At this agency every staff member there has always been professional I would recommend this and have recommended this agency to anyone and everyone looking for a job. What can I say about David wood, that hasn't already been said about the wheel, a pencil, and the iPhone. They are great at what they do! Finally I have found an agency which is able to consistently, and promptly place me within professional, progressive working environments. It’s only David Wood Personnel for me. I've never had anyone work harder for me. Great team full of friendly, knowledgeable people that really care about your personal success. Would recommend them to anyone looking for good professional work. I've been looking for a position that, by being away from a desk and its technological gadgets for quite a while, I knew I was "rusty" and, a bit nervous. The personnel from David Wood, from the front desk to the interviewer helped me with respect and honesty. I'm grateful to them. I am sure we (potential employees) have the need to be treated like that in this moment of change and transition. I recommend. I have never been more satisfied or impressed by an agency. My recruiter was professional and encouraging. I found the office staff to be warm and friendly....My recruiter found a position for me by looking back at my resume and finding previous experience that met the employer's criteria. I have been at my position now since July and am the happiest I have ever been in my employment. David Wood Personnel is the perfect place to find a diligent recruiter who will help you find your perfect job. I am very thankful. David Wood Personnel was of great assistance to me when I moved to the area. My recruiter was helpful with reformatting my resume and worked hard to market me in the most appropriate ways. Always mindful of your lifestyle, salary and other career objectives, DWP offers the perfect balance between personal moral support and job search assistance while trying to navigate a new area/career path on your own. I just moved to Florida a week ago. I contacted David Wood Personnel and just a couple of days later they invited me in for an interview. Their response time was very fast and the process was smooth and easy. I have worked on and off with David Wood for quite a few years and the experience is always fantastic! They're quick to respond, helpful with any questions and send me to great employers! I love this agency!!!! The staff is very helpful and polite. I would recommend this agency to anyone that is looking for employment!!!! David Wood Personnel has such an attentive and professional team, they go out of their way to make sure you are taken care of. My experience was fantastic. I was treated professionally and was given the confidence that I would be referred to companies with extraordinary reputations. The follow-up was timely and invaluable. Highly recommend! They are very professional and take the time to know you and find the job opportunities that match with your background and expectations. I meet them today and already feel they can help to find the right job for me. David Wood has been exceptional with providing me what I needed while I was searching for temporary jobs ; the agency has supplied me with great employers and has met all my needs thus far. The staff is very friendly and will make sure that you are well taken care of and that you're finding jobs on a regular basis (if you are interested in temporary work) If you are having difficulties finding a job David Wood is a great place to go. Being a recent college graduate with a few months off before I begin professional school this was the perfect agency for me to find temporary work. I highly recommend David Wood Personnel. They're very professional and they have great response time. Very satisfied. I signed up with David Wood Personnel- Plantation location three weeks ago and a week after signing up with them and meeting with an amazing recruiter she was able to place me on an assignment. My recruiter is such an amazing lady. She checks in on me to make sure that I am ok and I am happy with the assignment. I can call or email her at any time if I have any questions and she is always there to assist. I would definitely recommend David Wood Personnel to others. Thank you so much. Very professional, nice and courteous staff. I do highly recommend this company if you are in the hunt for a job. Great advice on rewriting my resume. Great at finding me assignments as a temp and great at sending me on interviews. If anyone can help me find a job, David Wood Personnel can! David Wood Personnel came highly recommended to me by business owners and some placed in positions from Boca Raton to Ft. Lauderdale. I appreciate their professional and supportive care and so happy to go the extra mile representing them, as well. My recruiter is the best! She has kept me busy with assignments since I signed up with David Wood. I highly recommend David Wood Personnel! I would highly recommend their service! I recently moved from another state they, did not turn me away, but they patiently looked for an assignment for me and have been beyond helpful with me during my transition. David Wood is very professional. I highly recommend. The staff at David Wood were very courteous and professional and took the time to listen to what I was looking for in a job. Once they were on the hunt, they kept in touch with me and informed me on all leads. I was very quickly placed in a position and currently have a great job! I would highly recommend David Wood as the number one choice, to anyone who is looking for a new job or career! Amazing folks. Incredible service. Highly professional. Highly recommend. Great place. Always very friendly and truly know what they are doing. I have been registering with many recruiters until I found David Wood Personnel on line and decided to give them a try. I can say that I have no regrets the staff is helpful and professional. My recruiter is the best very professional, optimistic and encouraging and have a genuine interest in you being employed. Even though I have not received a job as yet I am quite confident that I will be soon. I would recommend David Wood Personnel to anyone who is currently searching for employment. Exceptionally courteous staff and great service! I've recently been looking for a new job as I was laid off from a firm struggling with financial difficulties. 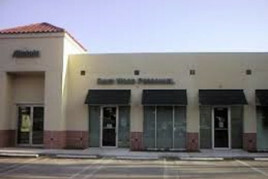 The staff in the West Palm Beach location was most accommodating, professional and friendly. I would recommend anyone looking for a new job/career to do themselves a favor and go pay David Wood Personnel a visit. I am very happy with the job placement David wood was able to find me. I would recommend them to anyone. I never really liked the idea of using recruiting companies in assisting me with finding a job. Reluctantly, I signed up with a few companies and they would always introduce the very jobs I didn't want. After crossing paths with David Wood Personnel, I got my heart’s desire after just 1 week of working with the staff. The best ever, the individual I worked with was fantastic! Great job guys. They was very helpful with getting me a job with great benefits. They also helped me mold my skills and target the right employer for myself. This place is awesome at what they do for others. Wonderful staff and so helpful. Highly recommend! All around amazing experience! David Wood Personnel never gave up on me! They remembered me after a year & 1/2 even though I was no longer looking for a job. When a perfect position came up recently that was what I had been looking for at that time, my counselor remembered my skillset and heart’s desire for my career and reached out to me. She went above and beyond in helping me through the process and I am happy to report I LOVE my new job. Thank you, thank you!!! I had a very positive experience when I worked with David Wood. I've worked with other agencies in the past, but David Wood impressed me most by far. Their staff has impeccable communication and everyone I dealt with was very genuine and helpful. I would highly recommend them to friends and family or anyone at all for that matter! I would like to say a big thank you to David Wood Personnel and specifically my contact in Fort Lauderdale. I was living in Mobile Alabama at the time when I flew in for an interview with another company that I ended up not being impressed with. I happen upon David Wood and they were nice enough to schedule me right away to meet with them. Upon walking in it was a very professional and nice. I was greeted immediately and started on the process. By the time I finished my paperwork it was already late, but she met with me and discussed my current experience and needs very thoroughly. After she allowed me to take some basic skill test which I didn't finish until 6:15pm and they closed at 6pm. I had a great feeling from her warm personality, but hearing it might be 4 to 6 weeks made me nervous but she said she would stay in touch. I was like man I need to know something. When I got back to Alabama I decided I would just wait to look for any more jobs. One week before time to move I was sitting at my previous job on Monday about 3 weeks after I flew back to Alabama and my agent called and said she had a potential employer and if I was able to make it for an interview. I waited all week nervous, mind you Saturday was moving day and I finally got the call on Friday confirming an interview for Tuesday. I got moved over the weekend did a prep with my agent Tuesday morning and had my interview at 2pm. I was hired on the spot and started the following day and absolutely love my job and employer. I'm very happy and see lots of potential. November 17th will be the end of my 90 days and I'm confident that the position will be mine permanently. My agent has maintained contact through this whole time making sure I was happy and everything was good. I would definitely recommend this agency in the future to anybody. They are wonderful and I would use them again! Great understanding of what I was looking for in a FT position, found the most suitable company for me to work for and would definitely recommend to anyone job searching. Former employee/temp. Wonderful people. Wonderful experience. So helpful, caring and understanding. Anyone having a hard time finding a job I recommend going to David Wood Personnel. They take professional to whole new level. The staff was extremely nice and helpful. They're the best. I had the pleasure of having my recruiter. She's amazing, she truly took the time to listen to what I need in my career change and she was able to find me something immediately. Even after I got the position she kept in touch and made sure I was still happy with the position. I had an excellent experience with this company. I would definitely use their services again in the future! I had a great experience meeting with the staff at David Wood Personnel. The recruiter that I talked to was very professional and kind. I was gladly surprised to see a lot of interaction between them and all the opportunities they have available for me. If you are looking for a job, this is the staffing agency you need to contact. I look forward to working with them. The staff is wonderful, caring and helpful. They are very knowledgeable and have lots of experience. I definitely recommend David Wood Personnel. My recruiter is amazing! She makes me feel that she is looking out for "only" me, this makes me feel confident that she has my best interest at heart. I will/would recommend DWP to any/all job seekers. Excellence! This is a class A company with a very professional staff! My recruiter took the time to get to know me and my skill set. They recently placed me with a great client and I look forward to continuing to work with my recruiter. I must say, this is a very good company. Especially for graduates who want to experience working with different companies. They can get a feel for what type of industry, position or company they would like to work for. I would definitely recommend David Wood. My recruiter is AMAZING, she is so nice and really cares about her clients. David Wood is a very professional staffing company. The one think that stands out for me was their integrity. They found me a great job two years ago and I am still working at the same place and am very happy in the capacity I am working in. They are specialized in working with candidates from all ethnic background. They certainly knew what workplace environment I would be happy in. I will certainly recommend this agency to anyone. I could not be more pleased with the absolute professionalism of David Wood Personnel. From start to finish, my experience finding employment, with the help of David Wood Personnel, was very positive; my recruiter is truly genuine and cares about her candidates. I will whole-heartedly recommend my recruiter, and David Wood Personnel, to my closest friends and family. In the future, if I am ever again in need of employment, David Wood Personnel will be my very first phone call. David Wood Personnel aligns the tone "professional" at the core. Within my professional transition, I was referred to the personnel service by a business associate. Next, I'd been to a few other staffing agencies and really wasn't pleased. Therefore, my associate assured me that "David Wood Personnel" would change my outlook. Moving forward, the environment was warm and welcoming with uplifting greetings. Also, the personal touch that's given to each candidate is unique based by the career goals of each individual. In addition, the testing instructions, room and the overall testing procedures were clear and user friendly. Very courteous and caring staff. They work very hard in finding the suitable job for you. I went to David Wood Personnel to help finding employment after moving back to the US. They were very thorough in getting to know me and my strengths, and also did a great job of evaluating my skills to ensure a good fit when looking for employment options. The DWP staff was not only helpful but very encouraging and knowledgeable. I would recommend anyone who is looking or considering looking for employment to contact them at either their Plantation office or Miami office! Good Luck! To say my experience with David Wood Personnel has been superb would be an understatement. My recruiter has been extremely helpful in my search for a meaningful career, post-college graduation. She took the time to really get to know me and has been awesome at keeping in contact/immediately finding me work. I'm so glad that I listened to the recommendations I was given to reach out to my recruiter. I encourage anyone seeking extraordinary assistance with their career search to contact David Wood Personnel. You won't regret it! I moved to Florida and spoke to 5 other temp agencies. DWP was the only one that took the time to get to know me and my job history. This was very beneficial in locating a job that both I and my employer are happy with. David Wood Personnel didn't quit until they found me a job. My recruiter was very professional, caring, and helpful in my job search. While I was looking for a permanent job they were able to send me on temporary assignments to keep me working. I highly recommend them. After retiring a year ago and taking about 6 months off, I talked to a friend about getting some part-time work. She suggested I call David Wood Personnel and gave me the name of her recruiter. I scheduled an interview and soon was on my way to my first assignment! Thanks to my recruiter and DWP, I have been busy ever since! Just wanted to take a minute to say thank you so much to my Rep for all her help. I have lived in South Florida for 27 years and have drove by David Wood's for as many years but have never needed a Employment Agency. I found myself after a life time of employment out of work for many months. I contacted a few other service recommended by friends with ZERO results. I then realized I drive be the David Wood offices every day and have for many many years so I stopped in. Within days I was called for a half day assignment which I was called back for another day. After two half days in an office, my REP called me to say there is a 6 month opportunity and that it might not be the perfect fit for my skill set but that there maybe a long term option after the 6 months. Well I'm so happy to say that the company and I have built a great relationship and they offered me full time employment which is still not the exact plan I was looking for but within the next year with this company I believe I will be right back where I was before ever being unemployed and I couldn't be happier. I just want to thank my REP and all the David Wood staff for the taking the time to work with me, find an opportunity that I wasn't expecting in a field I was even thinking of. I would recommend you anytime to anyone I know and I will never forget what you have done for me. My sincere thanks again for everything you have done. I wrote an email to David Wood and was contacted within an hour to schedule an interview for the next week. I was told there was a job opportunity I could take advantage of and was working 4 days later at my first temporary office job. I would definitely recommend to others. A great agency that really makes a good effort to find you a job that matches your skills and career goals. I moved to Florida from Iowa in July. I tried to find a job on my own, It was so hard even though I had the experience and college degree, I had no connections to this area. I was getting frustrated and A friend suggested calling David Wood Temp Agency. I went in and spoke to an agent, she set me up for an interview and five days later I was working there. Why I waited 6 weeks, I should have done this right away. Everyone was nice and made me feel welcome. Great Place and Staff....Thank you David Wood. I love where I am working! Sara F.
David Wood helped me when i was most in need. David Wood Personnel was the first Agency I have worked for and I can say that they are the best. They found me a great job that fit my criteria. Thanks David Wood Personnel for all of your help. The staff here at David Wood is fantastic! They were very helpful my first time in, and I had a job very shortly afterwards. I've had nothing but a great experience working with them and I definitely recommend David Wood Personnel to anyone who wants a great experience with people who genuinely want to help you! I Moved to Florida a month ago worried about finding employment. While out putting applications in, I drove past the agency. I stopped in and immediately I was warmly greeted and felt comfortable with the Staff at David Wood Personnel. I submitted my resume and met the following day with my recruiter. She was thorough and knowledgeable and the next day I had my first interview. Unfortunately that job did not work out, but I immediately was sent on another interview and now employed! Thank you for making my transition to Florida and into the workforce a pleasant experience!! Amazing staff with experienced/seasoned recruiters. My recruiter has always been driven to helping me, by corresponding and negotiating on my behalf, they have always been sympathetic to the needs of both the client and candidate. My experience was great, the staff was very friendly and helpful, they gave me the hope I needed to continue my job search. Personally, I did not think an agency could help me find a job but I now have an amazing job that pays great and I know if I need to find another job the service David Wood Personnel provides will excel once again! Finally I have found an agency which is able to consistently, and promptly place me within professional, progressive working environments. Its only David Wood Personnel for me. Wonderful staff. Always available and ready to help! Upon walking in, I was immediately impressed with the very professional manner in which I was treated by the office staff. About 5 minutes after I had completed the registration process, I was introduced to my recruiter. To say she far exceeded my expectations is a major understatement! After becoming familiar with my resume and work history, she looked beyond the page and asked insightful, perceptive questions, in short order convincing me she was genuinely interested in placing me in a challenging, progressive work environment. To top it off, in less than 48 hours, I received my first assignment with a great client! I am very grateful to have been lucky enough to meet and work with this phenomenal lady as my recruiter. If this is the type of thoughtful professional you would like to have assisting you keep your career path pointing up, I definitely recommend David Wood Personnel! I was very fortunate to have found a job through David Wood. Everything from the interview process to landing the job was a smooth process. I highly recommend using them if you are looking for employment. 5 stars for David Wood! In my opinion, David Wood Personnel is the go to company for help in finding a job. I can't speak highly enough of this company who has proven how good they are by the length of time they have been in business. The recruiter who helped me was genuinely interested in helping me to find a job. I was involved in a lengthy interviewing process that took over a month. The recruiter stayed on top of things and kept me informed of what was happening. Thanks to her, I have a great job working for a great company! My recruiter is the best!!! Thank you David Wood. My rep at David Wood could not have been more thorough when meeting with me for the first time. I really feel like she is working hard on my behalf. I have been to a couple employment agencies before but none of them tops David Wood. They are a phenomenal staff and Arlene and Stephanie are the BEST! I got hired after my first interview with one of their clients. They are nice, helpful, and they really go over and beyond to help you find employment. Thank you for your service David Wood Personnel!! My experience at David Wood was amazing! My recruiter was extremely helpful And very proficient. I was able to find a permanent position through David Wood's recruiting agency that match perfectly what I looking for.I will refer my friends because of the wonderful experience I had with the company as well as my personal recruiter! I have been working with my recruiter off and on for nearly 20 years! I wouldn't think of using anyone else. She always listens to my wish list and pretty much hits all the bases when sending me on assignments. I have also gotten some very nice permanent positions through her also. David Wood is great that if my recruiter isn't available anyone who answers the phone answers all my questions. My time with David Wood so far has been great. My rep was incredibly interested in my previous job responsibilities and asked me questions I didn't even think of. I appreciated her taking a great deal of time to get to know me and what I am looking for in order to better help me find a career path. I have a lot of confidence in my recruiter to find the right opportunity for me. I was very impressed by her length of time in the area, and with David Wood, and knowledge of local companies and businesses. My recruiter at David Wood has been such a pleasure to work with. She took the time to get to know me and my experience and has helped me in my job search as I am new to the area. She responds quickly to my emails and calls, and has brought exciting work in the area to my attention. I was a David Wood Candidate and now I am a Client. My recruiter is wonderful, anytime I need someone she takes care of me immediately. She found me my job and now I am Property Manager at my job. Big thanks! I've been in search for a job for a month now on my own. I walked into David Wood Personal and my recruiter was very helpful & very friendly. I most impressed that she actually listened to me on what type of work I am looking for. For the first time in a month I felt as if I HOPE, hope that I would find my perfect job. I would recommend this company and my recruiter is the bomb! Thank you for giving me a sense of hope. Blessings to you. I love working with David Wood Personnel. My recruiter is very helpful. She does her best all the time. She is beyond professional and friendly. I look forward to working with her in the future. My experience at David Wood was amazing! My recruiter was extremely helpful and very personable. I was able to find a permanent position through David Wood's recruiting agency! I will refer my friends because of the wonderful experience I had with the company as well as my personal recruiter! The recruiters at David Wood Personnel are great and very friendly to work with. They are extremely persistent in getting assignments for me. As someone new to the state and nervous about career opportunities here, my fears were quickly washed away as my recruiter found exactly what I was looking for. I feel as if David Wood really has my and my family's best interest in mind. I am truly grateful. I've worked with David Wood since July 2013. I found the entire group in the West Palm office to be thoughtful, attentive and a pleasure to work with. When you are represented by David Wood, you can feel secure in knowing that they will get you the best positions in the best companies, at the highest pay. When it was time for them to negotiate my contract into a permanent position they were top notch in the transaction. In my experience the position was not even going to be offered permanently. Because I presented myself as a diligent, hard-working person, the staff at David Wood negotiated the position into a permanent one for me. I recommend them without question and suggest that job seekers as well as employers should look to David Wood not only for candidates, but for the trust and experience they bring to the industry. Great Job!!! 10 out of 10. I currently use David Wood for all our personnel needs and can't say enough good things about them. I can also say from experience they have the best clients and the best staff who are very knowledgeable at placing their candidates with those clients. I was previously placed by them at a company for over 4 years and the company I am now as well where I've been promoted 3 times. The staff is so professional and they take time to really get to know your skill set. You start with the standard application and they work above and beyond to get you placed with one of their top clients as soon as possible. I was sent on an interview within a few days of my walk-in review with David Wood Personnel. My experience with David Wood Personnel has been extraordinary. My recruiter knew exactly what I wanted and with the assistance of another colleague found my dream job. I highly recommend David Wood Personnel. My experience with David Wood has been phenomenal. My recruiter made the effort to really know me and find work that was challenging and meaningful. Now I've found new career paths and experiences from this thoughtful process. I have worked in both on the temporary side and on the permanent side, and found and equally careful approach to both. Thoughtfulness and thoroughness marked my recruiter's work, and I most appreciate the professional friendship over the years and placements. Great experience! I have dealt with David Wood for over 15 years. They have always been able to place me with wonderful and rewarding career opportunities. I wouldn't trust my career anywhere else. I've had a great experience with David Wood. A lot of employment agencies don't take their time to read your resume and spam you with irrelevant positions hoping that a match will happen instead. My agent at David Wood, however, properly communicated with me, took her time to get to know me, and helped me find a position based on my strengths and interests. This is a very organized and professional team of human resource agents. I am truly grateful to them for all that they do. OUTSTANDING in every way. I hired 2 temporary employees who we've converted to permanent placements on our team. That was over 2 years ago. They send the best and are eager, pleasant, and KNOWLEDGEABLE. I will be returning to them for more of our staffing needs in the near future. I will not use anyone else. My experience with David Wood Personnel was amazing. When I 1st met with my recruiter it was like meeting someone I had known for a long time. She made me feel super comfortable and never once gave up on me. She would call to tell me "I'm still looking, don't give up on me, I won't give up on you" AMAZING!!!!! I've had a few recruiting offices but nothing like David Wood Personnel. I've been at my current position for about 2 months and my recruiter will still send me emails checking up on me to make sure I'm okay. If I had to do it all over again - I would still go with David Wood Personnel. David Wood Personnel is definitely a five-star operation! Our recruiter was exceptional and worked with us until she understood exactly what we needed for our office. The David Wood organization and recruiters are phenomenal and I will continue to recommend them. I have had a wonderful experience with David Wood Personnel. They were able to find me a temp position within the first week of interviewing with them. They were not only efficient but they were able to place me with a company that is a perfect fit! I have already been hired as a full time employee with this company and couldn't be happier! Thank you David Wood! David Wood Personnel is fantastic! The recruiters are knowledgeable and friendly. They are working with some of the best agencies in the South Florida area. AMAZING !!! called in the night before, was schedule for a morning interview, after which a second interview immediately followed. GOT the job that day!!! THEY ARE THE BEST WORKING FOR THE BEST!! David Wood Personnel is outstanding. I have had a great experience, the customer service is phenomenal, they are supportive and they care. David Wood Personnel has been the best working experience I have ever had. My rep has always had my best interest at heart. Thank you for a great experience. If there was more than five stars David Wood Personnel would receive more. The personal relationship that was built in minutes was impressive. The staff is friendly, professional and very encouraging. David Wood Personnel Staff really gets to know you so you can be properly placed. When I left the office I felt hopeful, knowing that this staff would be working on my behalf. I've been with David Woods since 2013. David Woods has assigned me to many of the top companies in South Florida. I've been with David Woods since 2013. David Woods has assigned me to many of the top companies in South Florida. My recruiter treats me like a friend and not just another candidate. I have been with other temp. Agencies in past. Recruiters at other companies don't return phone calls, or answer e-mails and the jobs are few and far between. With David Woods, my calls and e-mails are always returned promptly, and work is steady. I have referred family members and friends to David Wood Personnel Agency, and will continue to do so in the future. It is truly a rarity for me to write a review, but I had to make an exception for David Wood Personnel. The recruiters pride themselves on being professional, responsive and helpful. If you are in the market for a top-notch, professional staffing agency, this is it. The recruiters will exceed and excel your expectations. Such a great team! Everybody in the office is extremely pleasant and sweet. My recruiter is great, she is very kind and makes sure to get to know you and your needs. I would recommend the team at David Wood Personnel to anybody. I have worked with David Wood Personnel for over ten years. The recruiters are great and do a really good job of matching my skills and experience with the right company. Fantastic, empathetic, helpful, kind, long-term in the industry, great contacts -would definitely recommend them for assistance with your job search. This is an excellent company. Whether you are looking for something temporary or permanent, David Wood provides the best services and opportunities related to your interests and job experience. They have a welcoming and supportive staff, committed to ensuring your success. I highly recommend this company. I have been using David Wood for temporary assignments and I have to say they are the best. Everyone at DWP is professional and their goal is to get YOU working at great companies and with rates you’ll be happy with. So, what are you waiting for? Get registered today and start working tomorrow!! David wood personnel is as best as it comes. The reps are extremely nice, well organized, and actually care about the people they are dealing with. They are quick and play no games on finding you work which could be temp, temp to hire, direct hire whatever you require. When you join David Wood you've joined a family. David Wood is The best staffing agency anyone can join, trust me I know. Without David Wood I honestly don't know what I'd be doing in my life right now. I THANK David Wood Personnel and the reps for actually caring and making life happier for Me. I would recommend them in a heartbeat to anyone and everywhere!!!! I applied with 3 agencies on line and when I followed up person, David Wood was the only one to come through with options for me right away. I loved the personal connection I felt with the best, most seasoned recruiter I have ever worked with. She found me an awesome long term part-time assignment that allows me to build my own business while giving me income as I ramp up. I love working at where she placed me and bringing a smile and encouragement to others. They appreciate my input to be more efficient and improve the customer experience. Thanks to David Wood for giving me an opportunity to earn additional income while feeling like I still make a difference. It's not just a "temp job" and I am not treated that way. My Recruiter at David Wood Personnel is, by far, the most professional I have ever dealt with; As too, is David Wood Personnel. My Rep perfectly matches her temps' abilities with her Clients' assignments, and follows up with both, on a regular basis to ensure satisfaction!! My Recruiter makes me feel comfortable reaching out to her anytime, and I appreciate that so much!!! I would highly recommend using David Wood Personnel. They found me a job the first week I was signed up with them. My experience has been very positive due to the wonderful recruiter I am assigned to.....Highly recommend David Wood if you are looking for professionalism and placement with your interests and talents in mind. I went to the agency because I didn't feel like there was room to grow in the current position that I was in. I spoke to one of the ladies about what I was looking for and my qualifications, she was very friendly and knowledgeable. I was matched right away with a company that met all of my needs! Throughout the interview process the ladies were right there calling and encouraging me. I got the first job that they sent me on and it was direct hire which was even better!! After I got the position the ladies still call me and check to make sure that everything is working out. I would recommend this agency to anyone looking for a career and guidance along the way!! Thank you David Wood Personnel!!! I found a position through David Wood. My recruiter took a real interest in me and worked hard. I had been to other agencies but David Wood had the best intake process and follow through. Thumbs up, David Wood Personnel! Their friendly staff are quick to answer your calls or respond to your emails. I highly suggest giving them a try if you are looking for a no-hassle agency, be it part-time or full-time. You'll be working sooner than you think. Very helpful and thorough, with you every step of the way. I would highly recommend this agency to anyone who is looking to find work. David Wood will find the right job for you!! My Recruiter at David Wood Personnel is, by far, the most professional I have ever dealt with; As too, is David Wood Personnel. My Rep perfectly matches her temps' abilities with her Clients' assignments, and follows up with both, on a regular basis to ensure satisfaction!! My Recruiter makes me feel comfortable reaching out to her anytime, and I appreciate that so much!!! This recruiter is GREAT!! They found me my dream job ten years ago and now that I am back in the job market, I returned to them. The staff makes you feel so comfortable and are wonderful. They offer great advice and are there to help. I would definitely recommend David Wood Personnel to anyone looking for their next job. I am at the top of my game, in a job that I love, thanks to my recruiter and the David Wood Personnel Agency. I am so grateful for their help and I absolutely recommend DWP as the best Agency in South Florida accordingly. I have had the pleasure of working with a recruiter at this location. What a great person! She got several prospective lined up for us in hours. The communication was superb and the service extremely awesome! We are happy to have used David Wood for our personnel needs and look forward to working with them in the future. Been working with them on and off for years. Very professional, "old school" agency which is great in my opinion. The recruiters are very encouraging and helpful. Unfortunately, I haven't been placed in my perfect position yet. Hopefully, this will happen soon. My rep at David Wood was wonderful to work with. I'd never dealt with a recruiting agency before and had no idea what to expect. But one day after meeting with my rep, she had a job for me that met all of my qualifications. I recommend anyone who is looking for work, to talk to the David Wood Agency. David Wood Personnel has always met our staffing needs in a timely manner. We only use David Wood. This agency is the absolute best when assisting you every step of the way in gaining employment. The recruiters are proficient, professional and very passionate at what they do for their clients. It pays to be with the best! My recruiter is absolutely amazing! She was able to assist me with exactly what I was looking for. The staff is very friendly and helpful and I would refer any job seekers to David Wood Personnel. Best staffing agency thus far! I recommend David Wood very highly. Since I moved to Florida, my rep has been a lifesaver....I have been working steadily since I signed with them. Very happy to have found David Wood Personnel! Excellent agency with a professional and caring staff. The staff is professional, responsive and personable. When I have questions or concerns, my recruiter always makes time for me. She is quick to respond, always helpful and has placed me in the most pleasant working environments. David Wood Personnel is truly top notch and a pleasure to work with. Loved my experience with David Wood Personnel! The staff is super great! My recruiters were the best at getting me interviews and a job that I love!! I highly recommend them!! I have dealt with other recruiting agencies. Unlike my experience with other agencies, my David Wood representative paid close attention to my skills and experience and ultimately placed me perfectly. I have been in my position nearly a year now and have highly recommended David Wood and will continue to do so. Made a wonderful difference in my life. Thanks David Wood Personnel! Placed for a position the very next morning after meeting with recruiter. Excellent company, great connections! The recruiters here are very professional and really listen to your needs as an ambassador looking for a position. I highly recommend this agency! My recruiter was extremely nice and was able to place me at a job very quickly. I was only looking for part time work and she was very accommodating. I would definitely recommend their service to anyone who needs help with temporary job placement! David Wood Personnel recruiters have relationships with the top rated employers for employment success. I've had the most delightful experience with my rep was a woman who I felt was working with me and for me. She put my skills first and did her best to find me a position that fits my skills and personality. She always kept me informed and updated on the next move in regards to an assignment or offer .I've done many temp agencies before but none has been so attentive like David wood. I recently passed my one year mark with the company I am working for and my amazing personnel recruiter from David Wood crossed my mind. As with any job, there are many things that one may be bothered by but I can truly say I love what I do. Thank you for not rushing to place anyone in any position that may be available. I recall being antsy and anxious to find another job a little over a year ago and when you presented this position to me, I figured it's a paycheck and I need to eat. After a few months, I realized that the environment was one where I could grow within the company, the people are easy to get along with and when necessary there is support. For the first time EVER, I can say I am doing well financially. I'm actually able to put money aside for retirement, a new home, additional savings and still be okay. The first thing that came to mind once I realized this was you. Yes, I work hard at what I do. But if not for you I would not have had the opportunity. Thank you for being a kind individual. Thank you for your patience. Thank you for doing your job so well. Just so you know, you are appreciated and you are the first person and only agency I recommend to anyone who is looking to change their profession or are looking for temporary work. I hope you and the team have an awesome week and a slew of more satisfied clients. I have worked for David Woods for a couple of years now and my rep has always found really great matches for me and my employment. I am very happy to be with such a caring company. Our Company is absolutely thrilled with our "Recruiter". She has never let us down! We are a new & used store for the local universities. We rely heavily on stellar temporary help in the beginning of each college semester and our Rep always hits the mark! We look forward to working with David Wood and their fantastic staff each and every semester! Recruiter always quick to respond with candidates that fit our needs. David Wood Personnel knew exactly where I would fit in; I was hired after 10 minutes, and started then and there. David Wood is the best place to work, both at the office and on assignment. Never had anything less than an awesome experience! Great agency to be working for, they are very supportive and look out for their employees. David Wood has given me everything I need to succeed including amazing workers, a great environment and a timely response to all inquires I have ever had. They generously shared their expertise and experience with me, and I am truly appreciative of the care, support and professionalism that has been a constant ever since I made that initial phone call to their office. I am truly grateful that they chose me to be an integral part of the David Wood Personnel family! David Wood has been a wonderful source for temp and perm jobs for me. Their personal approach and genuine customer service sets them above everyone else. I have used them for almost ten years now and look forward to continuing to use their services. 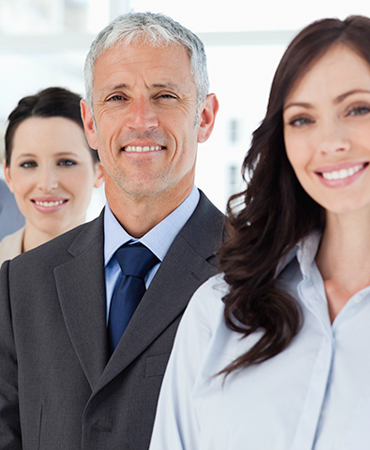 David Wood Personnel is a professional and caring staffing agency. They truly listen to your desires in order to place you in jobs that will be the best fit for you. I strongly recommend David Wood to anyone in the job market. When I moved to west palm I couldn't find a job anywhere. For months I just went on interview after interview it was very discouraging. After I signed up with David Wood my luck changed. Within a week I was part of the working population again. Thank you David Wood you saved my future. One of the best companies I've worked with, awesome staff members, prompt job assignments, always professional, on time with payroll, this is the only company I would temp for. David Wood personnel is a very professional and good at what they do agency. They work very hard to create a good marriage between their clients and temps. Very happy temping with them! David Wood Personnel so far has been a good experience for me, I had an appointment with them on a Tuesday by Thursday they had me on 2 temp jobs, I am currently on my 3rd temp job for them. I would highly recommend them as a staffing company. Thank you! Highly recommend David Wood Personnel for professional career opportunities. Office staff are very professional and kind people. I have enjoyed working with this agency for the past three years! Wonderful doesn't begin to describe David Wood Personnel. They have a terrific and friendly staff that is always striving to find that perfect fit for you. It's nice to know that there is a caring staffing company!! It has been my pleasure to work alongside wonderful people who look to put you in a position to be effective and be successful in today's workforce. I would recommend David Wood to anyone with a great attitude and work ethic. I just recently started going to David Wood Personnel last month and have already had a great experience with them! They really get to know you as a person instead of just another employee, which is refreshing. I have enjoyed the companies I have worked for so far and would highly recommend David Wood Personnel to those who are having trouble finding work on their own! We just moved to WPB, and I needed help finding a job. The staff at DWP looked at my resume and helped fit me with a job that fits my personality and is helping to increase my skills. Davidwood Personnel far exceeded my expectations of them finding me a job in an expeditious manner. I have been using this agency for years now. Every single time I went to them for help finding a job, I was working within a week or less! I would recommend this agency to anyone that is in need of employment, but doesn't know where to look or begin. This agency puts your mind at ease. They would have 10 stars if it was possible. There's a level of professional excellence that goes beyond comparison. I was in a position where I needed to figure out what industries fit my skill set the best. I felt that I was difficult to work with but the staff at DWP never made me feel this way. They exceeded my expectations in all areas. David Wood Personnel is an excellent company! I have nothing negative to say. I would refer any one searching for a job to contact this company. The staff are all professional, enthusiastic, and supportive of both the their clients and candidates! During my job search David Wood has been a wonderful experience. The staff is very professional and welcoming. They do everything in their power to get me to as many interviews as possible and always follow up with me to inform me of what new has come across their tables. I appreciate all their hard work through these difficult economic times. The office staff at David Wood is professional. They keep an open mind to all of their customers seeking job placement, and provide a ‘Good Fit’ between their client base and job seekers. They are proficient, organized and provide personal follow-ups to ensure employees and clients are achieving the highest value of professionalism. They care about you and the situation you are in. I highly recommend this company. I submitted my resume, interviewed and I was immediately placed in a job the very next day! I recently started working with this company and I am extremely pleased! The staff is very pleasant, got me right into the exact type of position that I was looking for within just a couple of weeks and they kept me in the loop the entire process. I would recommend this agency to anyone who is looking for a job fast. I am 100% happy with my choice of choosing David Wood! My mom got a job through David Wood Personnel, and I had recently got laid off, and decided to apply. The employers there are very, very nice, and explain the whole process easily for you to understand. I look forward to getting more job assignments through them ! Worked with David Wood Personnel years ago, and recently reconnected... they are well established and always my 'go to' agency for temp work. Love their staff! I just started working with David wood personal and my first experience with them was great. Not only was everyone at the palm beach office very nice and polite but they gave me my first job within a day or two, which was at a high end hotel and I had a blast! Just wanna say thank you and great team work! keep up the good work. I spent months filling out applications with no luck. David Wood placed me in less than a week! Plus my personnel contact is incredibly positive and attentive. I feel so comfortable working with her. I love temping for David Wood. I’ve been to other placement agencies within WPB, months has passed & I heard nothing back from them. I went in to D.W.P on Friday and was interviewing by Tuesday. Also, my recruiter prepared me before hand for my interview(s). Now that’s what I call a great placement agency. I wish I came to D.W.P first! I had more fun on my first job with David Wood. My recruiter takes into account my likes and dislikes and sets me up for positions that are both fun and challenging. I met several other temps and everyone has a great attitude. I've only been here for a couple of weeks but they keep me busy and vary the tasks. This is one of the best moves I've made in this difficult work force. My name is Boris Hernandez from the Northwood University in West Palm Beach. Finding the David Wood Agency was a blessing for me after attending several Interview selling products over the phone or attending interviews only to find out that that they were Pyyramids and MLM business, I was really frustrated for wasting time and gas driving all over town looking for a job, as a University Student I wanted something more professional and with a decent salary and David Wood has been the answer for me.. I hope you will call them or give them a try , this is the real deal,, I had worked with other agencies in New York but this one is the best yet,, Quality , Customer Service and they Keep me Busy.. Regards.. I went to David Wood Personnel in 2001 and after 4 months I was hired full-time. After being laid off 10 years later I return to DWP and I was fortunately given another long term assignment. The staff is friendly, very accommodating and always seem to know how to match me with the perfect company. I highly recommend David Wood Personnel!!!! My experience with David Wood Personnel was awesome. I was called in for an interview shortly after I submitted my resume. My recruiter was very nice and helpful. She even gave me tips on how to better market my resume. To my surprise, two days after meeting my recruiter, I received a call for a temp position. I am new to WPB so this transition was necessary for me and David Wood has made it even easier. I highly recommend David Wood Personnel. Everyone there seems to be really helpful. I have used DWP many times in the last 10 years. I have received jobs and used the service for getting temporary help with my existing job. My recruiter knows me so well and I trust and rely on her so the stress level of finding the right thing for me has been alleviated entirely. I recommend using David Wood Personnel to many people. David Wood is a wonderful employment agency! They are so helpful, friendly and they genuinely care about you. They are prefect for anyone wanting to work without the commitment or like me, a recent college graduate looking for work to start a career. I appreciate all their work and effort to help place me with a company that fits me. I have nothing but praise for David Wood, specifically my recruiter. I always contact her while I'm home for the summers, and no one is interested in hiring someone for several weeks. But David Wood always pulls through. After being interviewed and taking diagnostic tests (typing, etc. ), I was offered a placement that very day, and then another for the entirety of the summer not even one week later. My rep is thoughtful about my placements, even getting excited when she's found me a good position! It's very encouraging! Communication between my rep and myself has always been quick and fluid. I've been placed in well-paying temporary placements for several summers now, and I highly recommend it. There's no downside! Over several years we have turned to David Wood for our office staff hiring needs. We enjoy the convenience of not having to advertise for position, screen applicants, interview, etc. The professional staff at David Wood knows exactly what our requirements are for a job and has always sent us the right person, with proper qualifications for the job. Through the years of working with them, they almost know our requirements better than we do. Sometimes the first candidate for a job hasn't always worked out but in the end, all of our outstanding office staff other than one referral has been hired and remains employed due to our association with David Wood Personnel. Looking for a great great work environment with good benefits???? David Wood Personnel has the CONNECTIONS as well as a wonderful staff to work with!! I am glad I have a relationship. David Wood was incredibly helpful when I was looking for new work. They matched me with a great company that I am very happy to be working for. I highly recommend this agency if you're looking for temp work something more permanent. They're great people who have your interest as their highest priority. Only come here as a last resort. If you are looking for a secretarial position or something in the mail room just maybe come here. You could find better paying positions on your own. Keep in mind they make a margin on placing you in a position that may not be the best fit for you. Bottom line it's your last resort for work. I've had the opportunity to use David Wood's services several times over the last few years. Their staff seems to understand our business' needs, sending me only qualified and professional candidates which makes my job much easier. I have several long term employees that came from David Wood. They have the most professional and courteous staff of any agency I've ever used and will be the only agency I use. The staff at David Wood Personnel are very professional and courteous. They are always ready to assist with any of your employment needs. If you're looking for a new job or simply want to do temp work then this is the agency to go to. My recruiter took the time to listen and was very courteous in sharing numerous opportunities and scheduling them as my time permitted. The proactive approach was great as I did not have to be reactive or chase anyone down for answers. I am very happy! They have been my lifeguard in such a rough economy. It can be hectic job searching on your own, so leave it to the experts and David Wood Personnel is just that. I have stayed employed and have had the experience to work at great companies that I never imagined of. Thank You and I hope many other people can have the same experience as me...Much Thanks Nicole S.
David Wood Personnel found me work when I could not. My last temp job was to last a couple of months but I am still here more than a year and a half later. There is always someone available by phone or email whenever I have questions- very courteous, helpful and professional group. They have been my life line for several years now. If you are in any business which has employee turnover from time to time...The ONLY Personnel Company in the greater West Palm Beach community to contact is David Wood. Whether you’re seeking a temp to fill in for a vacation opening or to find an executive assistant, even a seasoned professional -David Woods staff has the Multi Talented experts to locate the right "fit" for your specific requirements. I have enjoyed our business relationship for many years and you will as well. Don’t waste any more time-Call them NOW. The staff at David Wood Personnel made a difference in my life. I came into David Wood Personnel without any expectations of being able to find work immediately. One of the Senior Personnel Associates was able to find me work within a few days. I am a single mother of 3 and needed the work. The team was determined to match my needs and career goals with not only my professional experience, but also with my schedule needs as a single mother. They did. I am now working full time and have been since my first month of walking through the doors and would recommend David Wood Personnel to anyone who is looking for work -part-time, full-time or temporary. The staff is extremely friendly and welcoming and I love them! From the first contact I had with David Wood Personnel I felt like more than just a name in a database. They take the time and effort to supply positive experiences for all parties involved and strive to place people in positions that match their skills. I have had a great overall experience with them. I've worked with David Wood on several occasions and they've been great about finding a good job match. The reps I've worked with have always been very positive and friendly, and they are really good about staying in touch with you. I will definitely continue to go through them in the future! David Wood Personnel has helped me and given me opportunities that I never would have imagined in such a horrible economy. After a few interviews I have been successfully placed in some very good temporary jobs which have even lasted longer than what I expected. As long as David Wood Personnel is around I know I will always have a company who cares about my career status. I've worked with David Wood Personnel about 6 years ago, and just recently started working with them again. Their staff is extremely professional and helpful. They all are so nice and make you feel as though your career goals are their number one priority. I've referred several people, and feel completely confident that their outcome will be a success. Thank you David Woods Personnel!!! I was pleased when I found extremely professional and caring recruiters at David Wood Personnel in Plantation, and also found the location to be very convenient. I’ve been utilized for several temporary assignments and hope to continue a prosperous relationship. Thank you! My experience with David Wood Personnel was great! I went to the Plantation office. They listened to all my needs and offered valuable advice and guidance. Everyone at the office was friendly and helpful. Thanks again! David Wood Personnel matched me with a perfect opportunity, matching skills I sought to grow in a field for which I am qualified. Would not have found this opportunity on my own, which proves the value of a good recruiter. Added solid value for all parties involved. I love David Wood Personnel!! The staff is thoughtful, knowledgeable about the industry and very professional. I was always placed on an assignment right away, whether it was part-time, fulltime or permanent. They have never failed me! David Wood Personnel is awesome! This is an excellent placement/temp agency and the staff are professional and courteous (and fun). They truly went out of their way for me without making it seem like a big deal. I walked in to reactivate my file (without an appointment) and I was greeted with open arms and was set up for an interview the next day! I was offered the temp to hire position two days later. I am very appreciative of all their efforts! I will always use David Wood Personnel. David Wood Personnel has been extremely helpful. I went for the initial interview on October 19, a Wednesday and had a one-day assignment by the following Monday. The staff member who met with me on that first day was very compassionate and understood my plight without me having to say too much. The agency sent me back to that first assignment a few weeks later but this time, for a bit longer. The staff always seems very friendly over the phone whenever I call. David Wood Personnel is a wonderful agency. Everyone is always friendly. I have been with the employment agency for several years now because they have always been able to provide me with work, even in these hard economic times. Thank you David Wood Personnel! It's always a great feeling when a recruiter allows you to be yourself with no personal judgments taking place. Inevitably this environment creates the opportunity for the prospective candidate to relax and really open up and share their talents and/or special abilities with the recruiter. As a new potential 'temp' placement, (February 2012,) I found the Senior Personnel Supervisor @ David Wood Personnel to be both open minded and nonjudgmental. This level of professionalism I am sure will equate to a professional working experience with whomever I am placed with. I did contact another placement agency, but did not find their demeanor polished or equivalent to what should be expected from a recruiting/placement firm. I am now highly recommending any friends get in contact with David Wood Personnel." David Wood Personnel has changed my life in a way that I could never have hoped for or dreamet possible. They knew immediately where I belonged and made it happen. The job is a perfect fit on every level. I have a very bright and prosperous future ahead of me. Thank you, thank you, thank you! I've been using the same recruiter for all of my temporary help for many years. I would never go anywhere else. They send me professional and very capable staff! Highly recommend!! David Wood Personnel makes you feel like family. They really care and are a delight to work with! I would highly recommend all job searchers to stop in and have a chat with one of their professional and knowledgeable recruiters! I have been with David Wood for over 10 years anytime I have a gap between employments they have been awesome to always find me a place so that I don't stay without any kind of income. I definitely recommend David Wood. My rep is more than just a rep, she's definitely become more like friend that looks out for me. David Wood is a lifesaver! Despite the current state of the economy, the team at David Wood was able to place me in a great position. I am happy at my current temp assignment and very pleased that the DW team took the time to put me where I could utilize my skill-set. The staff is not only professional but warm and inviting. They take the time to assess your needs and strengths to make sure you succeed wherever they place you. I'm truly grateful for all of their help. My impression of this agency is top notch from the minute I walked into the Plantation office. I was greeted with a friendly and professional manner. It provided me comfort that this organization will be a benefit to me in finding employment. After my time with the staff and discussions about what I am looking for, I continued to be pleased with my experience. I would certainly recommend David Wood Personnel for employment needs. I can’t recommend David Wood Personnel in Plantation enough! I recently moved to Plantation and I wasn’t sure where to start my job search. 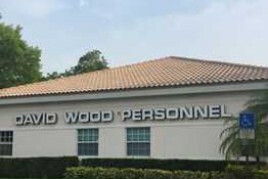 I noticed the David Wood Personnel office off of Broward Blvd. and then found their website and submitted my resume. A week later I had an interview at the office and that same day I was offered a 2 day temp job. A week to the day of my interview, one of the marvelous staff members called to tell me about a great job opportunity and I accepted the assignment. WOW! The two David Wood Personnel staff members that I worked with were very professional and extremely accommodating. They both made me feel like it was their goal in life to find me the perfect job opportunity. I had no idea how long it would take to find a job, and within two weeks they found me a job that met my criteria - decent commute, professional & friendly office, and right on the money with regards to my preferred salary. They took the stress and worry out of finding a job and actually made it fun! I have used this agency as an employer seeking talent before and found their services to produce great candidates. I used them as a job seeker and they were able to find a position for me in less than three (3) weeks. My recruiter listened to exactly what I was and was not looking for in my next opportunity. My recruiter worked diligently and stayed in constant communication with me regarding the search. I would recommend this agency to an employer and to a job seeker. Extremely Professional!! I have used David Wood Personnel as a candidate, and as an employer. Not only did they place me with a fabulous organization, they provided me with qualified, professional, and "like/kind" individuals to interview when looking for an Assistant. Needless to say, we did hire an individual sent to us by David Wood - and, could not be happier! I highly recommend this Agency and would use them, exclusively, in the future should we have the need! The staff at David Wood is professional, polite, understanding, dedicated and focused on providing the best fit for not only the individual, but for the company as well! In my opinion, David Wood Personnel IS the "only game in town" - in other words, there is NO OTHER Agency that could possibly compare! DWP is the best! They found me placement within a week of registration and a perfect fit with great people! I continue to rave about them and have sent them several referrals. If you are looking for dedication and persistence David Wood is the place to go! David Wood had been very helpful in finding work for me. My first experience was in 1998, which was a springboard to my executive assistant career. I approached their office again in 2011. They have been very responsive to my needs and found work for me immediately. They believe in me and support my professional ideology completely. I will always turn to David Wood Personnel for my employment needs. My experiences at David Wood have been wonderful so far. After being laid off one week ago, I went to the Plantation office, the staff is professional, welcoming and very helpful. I was well informed of the choices that are available for the types of employment (ex. temp, probationary or permanent). After deciding the type of work and providing all documentation, I was assigned to an agent who is great. I recommend David Wood Personnel to all professionals seeking employment. David Wood Personnel is a great place to go if you're looking for work. They are very attentive to your needs and they are great to deal with. I had been going to CareerBuilder trying to gain entry to positions without any luck, but after going to David Wood within the same week they sent me on an interview!! The recuriters are very professional and keep you in the loop whenever they have something on the horizon. I would recommend them to all my friends that may be looking for a job! David Wood Personnel is awesome in every way. They were more than willing to assist me with any of my issues, questions or concerns with my employment. They were very courteous and professional. I would recommend them to anyone and everyone. David Wood Personnel has given me the tools to succeed in my search for a good job. I would recommend them in a heartbeat to anyone I know who's looking for a job. The staff is awesome! They're always positive and upbeat... if something doesn't work out for whatever reason, they're there to guide you back on track with a positive attitude. They always make me feel welcome whenever I have any questions (from serious questions to random questions) and that is a rare thing to find in a company. If you need help finding a job and Craig's List cattle calls aren't your thing... then you need to try David Wood Personnel and truly get yourself out there! And same goes for employers... if you want quality employees, then David Wood Personnel is the best choice for all of your staffing and hiring needs!! David Wood Personnel made a great first and lasting impression on me. The staff is not only knowledgeable, but also very personable and genuine. A few years ago they helped me immediately jump back into the workforce after having been out for almost 2 years. They not only found me "a job," but it was a great one for a large, well-known corporation and the beginning of what has turned out to be a career. They coached and mentored me in a way that is very rare this day in age, and most importantly I regained my confidence with the assistance and encouragement they offered me. During the country's economic down turn 2 years ago, I decided that relocating would cut my expenses and be the best route for my future. So I resigned, and then ironically, my relocation plans came to a screeching halt. Not knowing which direction to take on my own, I contacted DWP again for guidance and placement assistance. Without fail, they landed me a fantastic temporary position with one of the most well-known companies in the Casino Industry. Though it started as temporary it gave me exposure and I was later hired directly and permanently. Been there 2 years so far and going strong. I couldn't have done it without DWP. It's a competitive world, and having the help of professionals is a major bonus. My first suggestion to anyone I know that is searching for employment and needs assistance and coaching is David Wood Personnel. Their service and success is unmatched. You may be able to land a job on your own, however having a reputable company recommend and market you makes you stand apart from the rest! They are awesome and I'm glad to have found them. I would be in a different place in my life had I not. David Wood Personnel was a lifesaver! When I moved to Florida, I thought I had a job, but it fell through. I signed up with one employment agency who said I wouldn't have problem finding work, but nothing came through even though I have excellent skills. I then signed up with David Wood Personnel, and I started working the next day. David Pearsall has been wonderful to work with, and he has always been willing to listen to my concerns and answer all questions. I also worked with Audrey, and she was always helpful and friendly. I HIGHLY RECOMMEND David Wood Personnel to any company needing a temporary or temp-to-perm employee as well as for anyone looking for temporary or temp-to-perm work. Their professionalism, positive attitude, and hard work makes them easy to work for and with. THANK YOU!!! I was lucky to have the support of the David Wood team who was absolutely delightful and supportive throughout my job search process. First meeting they knew exactly where my perfect fit would be for my next position. Would recommend them to anyone who wants to take that next serious step in their career transition. My recruiter was great! He got me an interview almost immediately. David Wood Personnel is the "go to" company when we are in need of temporary coverage in one of our nine Business Centers offering Executive & Virtual Offices throughout southwest Florida. We have found David Wood Personnel to be conscientious and responsive especially when in need of temporary personnel unexpectantly. The personnel sent are more than able to handle the front desk and client needs. Thank you for being a valuable resource to us. Wanda Cross, VP, The Crexent Business Centers. David Wood was a great person to come to in my time of need. He is very respectful and really cares about the individual. I would recommend this place to near anyone to go to first and make your first priority. I have worked with the staff at David Wood for over two decades and they have consistently provided excellent service with amazing results. Their recruiters truly care and work tirelessly to ensure that they place their candidates with employers that are a perfect fit. Top notch! David Wood has been amazing for me. My recruiter really listened to what I wanted and worked to find something for me that I would love. The second opportunity my recruiter found for me is turning into a permanent opportunity. I give my recruiter's number to all my friends looking for a change or having trouble finding the perfect job for them. After three months of job searching to no avail, a friend recommended David Wood Personnel. As a full-time student looking for something to fit my already demanding schedule, I was skeptical; I was not accustomed to temping. After my first interview at DWP, I felt very confident. Each staff member with whom I have had the pleasure of interacting has been nothing short of compassionate, helpful, and professional. David Wood placed me in less than two weeks and I have been working successfully in the same office for nearly six months. I couldn't ask for more! Really great staff. Very nice and friendly. My first time working with an agent and she was great. I'm excited for a new friend and mentor! David Wood Personnel was great! They immediately found me the perfect position for my skills and experience with a great company that has a bright future and excellent benefits. I would refer anybody that is serious about finding a great career to meet with David Wood's professional staff. I am so glad that I found David Wood Personnel, and Arlene, as I was really losing hope. I am so grateful for their excellent staffing process. They found me a temp job that I absolutely love, and I have never been happier with a temp agency. I truly hope that I can always keep a working relationship with them, as they have taken care of me in a serious time of need. I am forever grateful and have recommended Arlene to at least 6 other people that are also looking. Thank you so very much. I am so happy with David Wood Personnel. I have been using them for about 2 years. I don't need a temp person too often, but when I do they always remember me and know exactly the type of personality that fits best in our office. I've used other temp companies before, but once I started using David Wood, I never went anywhere else. I highly recommend them! My experience of working with my recruiter was exceptional. From initial contact until successfully placement into magnificent role for a great establishment. My recruiter went out of her way to support me. In addition, I was able to find placement a day after the interview. The recruiter was professional and a great help. I highly recommended David Wood Personnel Staffing Agencies to all prospective job seeker. I was laid off earlier this year and began my job search through some popular job searching website, weeks of applying that all lead to a dead end. I was referred to David Wood Personnel by a very close friend who convinced me that they were the best and that they would have me working in no time. I met with my Recruiter the Tuesday of that week, minutes into our interview she shared she has the perfect job for me! I started work Wednesday of that same week and am still working; so to sum it all up my Recruiter is hands down AMAZING and will have you working in no time! . David Wood is a top notch staffing agency. From a candidate perspective, everyone I came in contact with was professional, knowledgeable, diligent and friendly... Always willing to help out and go the extra mile. I would highly recommend them to any potential candidate looking for a job opportunity or potential client looking to fill a position! My recruiter is always going the extra mile when assisting her clients. David Wood Personnel is a solid and professional agency that cares. David Wood Personnel gave my process of finding a job a personal touch. I didn't feel like just another seat filler when I went on my interview. I appreciate the extra steps they took to find me a job that utilizes my skills and fits where I see myself going professionally. They take the time and make the effort to present the best you possible. I would recommend their services without hesitation. I couldn't be more thankful for David Wood Personnel!! After searching for a job on my own, I was referred to David Wood by a friend and the second I met with them I knew that the job hunt would soon be over! Besides all of the helpfulness and knowledge that they offered, they also made me feel like they truly wanted to help me, and they also provided me with the confidence I needed - which anyone seeking a new job opportunity can tell you is vital! Soon enough I had two interview lined up, one leading me to my current job (which I love!). I'm proud to say that I've been able to maintain a friendship with the staff at David Wood and would recommend to anyone! I commend your staff on their prompt and courteous service they gave me. The staff is very friendly and they were determined to find a job that fit my needs. Their professionalism was outstanding. The staff is a big asset to your organization and is part of the reason I look forward to doing business with them again in the future. David Wood Personnel rose above my expectations in every way. They have me working at an absolutely amazing company which I am very grateful for. The nice and professional individual that sent me to my position is very kind and gracious. I know good things will come from working with such a super fantastic agency! Friendly, helpful and professional. Helped me get a job very quickly. I would highly recommend this company to anyone who is looking for employment. David Wood Personnel made me feel like they are really working on my best interest. Very professional! ABSOLUTELY THE BEST!!! Effective and efficient. My experience with David Wood Personnel have been nothing but excellent. Stellar company with skilled and compassionate staff. Professional and dignified staff members who have amazing interactions with both clients and customers alike. They found me a great job within weeks of my initial interview and have been in constant communication with me at every step of the way and even went above and beyond to assist me with another separate matter. I would highly recommend this agency to anyone. After 3 weeks of no contact I finally called and asked to speak to a representative who might go over my resume, (blank) said no, they would only talk to me if there is an opening, which would have been fine, but then (blank) went on to tell me I don't have the skills even with a college degree and 2 years customer service experience. Thanks DWP. All I can say is that David Wood Personnel is the best! They are professional and reliable. Great company to do business with. We love our rep! David Wood found me a job fast and -- bonus!! -- it was a great fit. My recruiter was amazing and I would highly recommend working with this company. . I can Publicly say that David Wood Staff "CARES". 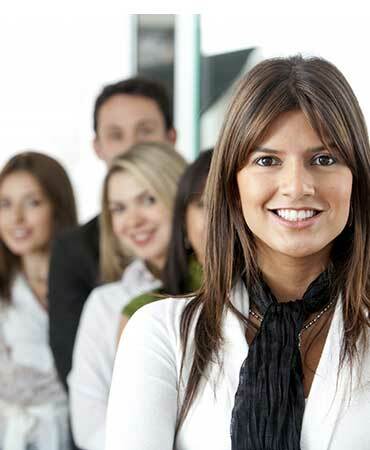 I am experiencing what is called a TRUE, LOYAL AND RELIABLE staffing agency. Being a part of this team allows me to fulfill my GOALS and go an extra mile in my everyday life. I've had contact with the wonderful staff at DWP throughout the nine years I've been in Florida since I relocated from New Jersey. The staff listens to the needs of their clients, both employers and job seekers. This enables them to place the right person in the right position. For anyone seeking employment I highly recommend DWP. If you want to make the right career choices, you have to go to the people who know best and DWP should be your starting point! Thank you to all the staff at DWP as I am thriving at my new position and I am very happy! I must have picked the wrong day to see how they could help me. None of these prior reviews fit. I was given a "go somewhere else for help" experience. They say they will help with resume but sent me to work-one. As a veteran I was disappointed with David Wood Personnel and do not recommend them. I have really had great experiences with David Wood. Not only did David Wood place me in my first professional position in 1984, I used them just last year to fill an open accounting position in my company. The David Wood recruiter got it right the first time. The first candidate they sent over was a perfect fit. We hired her immediately and she is now a very valuable asset to the company. The reps were just amazing! I felt like the recruiter was really trying to get to know me as a person and what kind of job would best fit me. David Wood has been always there for us. Their staff is well trained and ready to support our needs as a growing company. We have used David Wood a few times and always received personalized attention and most importantly, results. Our staff needs have been fulfilled in no time, sometimes even before we were completely ready on our side. We would recommend David Wood Personnel to any company that needs temporary staff in place and have no time to wage. Great job! From the moment I walked into their office earlier this week, the energy was positive and enthusiastic. I am eager to a long and prosperous relationship. 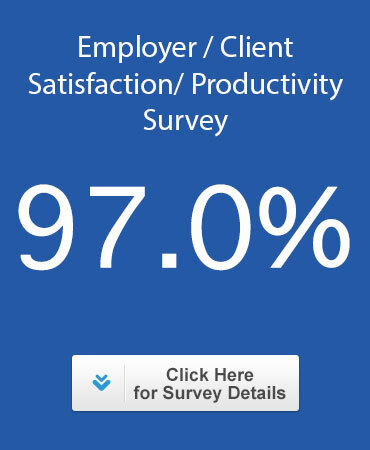 Absolutely the best employment agency in south Florida! Have used their services for a few years and they have NEVER let me down. Will refer everyone I know who is seeking employment to this agency. Great response time, courteous communication, caring staff. I have worked with David Wood for some time and finally decided to take on a permanent position. All off the employees go out of their way to connect you with just the right fit for your wants and needs. I'm very thankful to have found David Wood Personnel. A good friend of mine, who also was a recipient of DWP's excellent service suggested that I contact them to fulfill my employment need. Within a month of submitting my employment materials, with the assistance of DWP, I was offered a position at one of the largest firms in the world doing what I love. My life changed immediately. Finding David Wood Personnel was a blessing. I highly recommend their service! David Wood Personnel is the BEST! The staff is very professional and efficient. I am so grateful and I truly appreciate the opportunities that David Wood Personnel has given me, thank you! What an awesome organization to work for...Prior to moving to Florida in 2005 I applied to David Wood Personnel (DWP); I emailed and faxed all of the necessary documents and tentatively had a position waiting for me (of course the final background screenings had to be completed). My interview was the day after I arrived and to my surprise I was immediately put to work. It is now 2013, I now have my degree and I continue to do assignments for DWP in my field of study. I am gaining the experience and guidance needed to be successful and I thank the men and women of DWP for always making sure that I am not only a fit for the client but that the client is a fit for me. In my years of experience, I have utilized a number of recruiting firms and David Wood of Palm Beach has been one of the firms that I have found to be very dedicated in finding good candidates. They have been excellent in filling both temporary and permanent positions for any administrative need. I would recommend David Wood highly. Certainly, I enjoyed my experience at David Woods. The recruiter was very insightful with career options. Because my experience with a competitor of David Wood Personnel was less than satisfying I reluctantly decided to try another agency -- from the list of Google results I selected David Wood Personnel. I was dismayed to learn the closest office was about 30 minutes away but decided to make the trip. That decision was one of the best decisions I've made in a long time! The agency representative immediately made me feel comfortable and encouraged me to be very candid about my 'wish list' for my perfect job. Never in my wildest dreams did I imagine I would find a position that actually fulfilled every criteria! I found several things amazing about the interview with the DW rep: (1) there was genuine concern to place me in a position that was a perfect fit for me; (2) the rep referred me to a different office -- thereby forfeiting her commission -- because she knew of a listing that another DW rep had! Both of the reps went above and beyond to ensure my success in the interviewing process. I find it equally amazing that both reps have followed up regarding my progress and to inquire about my continued satisfaction with my placement. That is definitely 'above and beyond' service. Without a doubt, should I ever be in a position to be in the job market again ... the first thing I will do is contact my new friends at DW! I urge you to do the same! I would like to thank the best recruiter at David Wood Personnel that helped me to start my career in a new town. She had me working two days after I moved in which was a blessing. She probably does not even realize how her action and great work positively influenced someone's life. It is 1.5 year and three promotions later from the time I was placed by her and her agency. This is what they do and they are obviously awesome at it! David Wood Personnel is above all the rest!! Good old fashion professionalism! The job recruiters do go out of their way to make sure you are employed; other agencies are out-of-sight out-of-mind. The job counselors at David Wood will keep your resume in front of them and as soon as something comes up that is a good match, they will call you. They never forget about you. It is just a wonderful experience. Thank you David Wood Personnel!! I love David Wood Personnel. I started working with them when I was 17 and they always had good work for me. One which became a permanent and well paid job that I loved. Even years later when I moved and came back they remembered me and helped me out once again. They are the kindest and friendliest and most helpful staffing agency I've worked with and I refer all my friends in need of work to David Wood first. Great, professional customer service and a fantastic candidate was sent to fill our position. They took the time to listen to our pain points and sent someone that filled every requirement we needed. I recommend David Wood Personnel. My experience at David Wood has been top notch, timely, professional and above all personal. My Rep really seemed to care about what I was looking for and what would fit me best as a professional and a person. My Rep was always a phone call or email away should I need anything or have any concerns. Making sure I had everything I needed to move forward was their top priority. Thank you so much David Wood Personnel. Excellent experience. Totally caring and honest. Truly a "People" organization. Arlene and the rest of the office staff are outstanding. From the moment I walked through the door of David Wood Personnel I felt very welcome. They took the time to get to know me and really listened as I explained the type of work I was looking for. I found the whole experience to be very refreshing and positive. Searching the internet for a job had become very frustrating for me. I highly recommend and encourage anyone looking for a job to contact David Wood to set up an interview. The service they offer is both professional and personalized. My recruiter has been professional and friendly. She has been working around the clock to find me the right fit! I trust that she will get the job done given her proven/successful track record! I've had the pleasure of interacting with David Wood over the years as both an employer (since 2005) and a job applicant (in 2013)! In every instance, they provided stellar customer support and personalized service. A pleasure to do business with and would highly recommend. I can't say enough positive things about my experience with David Wood Personnel thus far. From the moment I walked in the door, I was treated as if I were the most valuable asset they had. My recruiter made me feel great about myself and my skills, and I was immediately offered assignments. I've only worked with them for a short time, but I feel as if they are already good friends. I look forward to a long and rewarding relationship with them! Awesome awesome totally!!! David Wood Personnel is an awesome agency. I have worked on and off for them over several years. I am self employed by trade and during those down periods they have helped me to bridge gaps and make ends meet. They always seem to correlate me with the right job and employer. They are very efficient and don't take time finding placement or meeting their clients need. It has been a great opportunity to be a part of such an amazing team of personnel. Their professionalism, courtesy, respect and diligence is beyond reproach. I have and will continue to recommend them to family, friends and strangers alike. Excellent service! My recruiter has been a pleasure to work with and has always responded to my needs quickly. I would absolutely recommend David Wood Personnel to anyone looking for employment. Very Professional, they work hard a fast with excellent opportunities! Our office recently reconnected with David Wood Personnel and so far our experience has been great. They always come through for our office when we have last minute projects and need some additional help ASAP. In addition to their speedy response, their staff members are friendly and professional. Keep up with the good work! When we found out we would be relocating to FL through my husband's job, I knew I would have to start job hunting. I started searching for staffing agencies and came across David Wood Personnel. I was impressed with their reviews and track record. I knew that is where I wanted to start. My recruiter was exceptional. She took the time to meet with me to review my work experience and learn what I was looking for versus what was currently available. Within a week I was working, and have been hired on full time by the company I was temping for. I highly recommend David Wood Personnel to anyone who is looking for employment. I discovered David Wood Personnel as a candidate for employment and have now been using their services as an employer, as well. I have found them to be the only agency I have worked with (and I have worked with many) that properly screens candidates BEFORE recommending them for review. They are always thorough with background checks, reference checks and skills checks. I have been super fortunate to have worked with whom I believe is the best recruiter out there to work with! (You know who you are!). No matter what your staffing needs are, David Wood is able to assist. There is no job too big or too small. This is my second experience working with David Wood Personnel. The first time was in 2008 when I first moved to FL and needed experience working in an office situation as, well as getting to know the businesses in the West Palm area. They gave me the experience I needed and I then worked full time for several years. A year ago I wanted a change and went back to David Wood Personnel and now work, by choice, as a 'permanent' temporary employee. I am very happy with both my experiences, especially now. I let them know when I am available to work and they provide me with assignments which are perfect for me. I have been so happy with David Wood Personnel that I have recommended them to a number of other people who are looking for employment; either full-time, or temporary. We have used David Wood Personnel over the last several years to help us find both temporaries and temp-to-hire personnel. They are always very professional, responsive and send only qualified candidates. They are able to provide excellent customer support because they retain their professional staff. Finally, they set the standard in the industry when it comes to ensuring quality background checks are completed before forwarding a resume to us. They are a pleasure to do business with. We needed someone to cover for a few weeks. The person sent was great, competent, a pleasure to work with. Will not hesitate to call on David Wood Personnel in the future. David Wood Personnel is one of the few staffing agencies out there deserving of the personal touch of a review. I feel I'm uniquely qualified to make that statement, because I've been with several agencies in the past 14 years, and whenever I am in the area, I've always been able to rely on David Wood Personnel. I have a true basis for comparison. They're great to employers as evidenced by how many people they staff at locations I've worked; employers trust them. For employees, let me just say the truth; other agencies will find some people jobs, because that's how they make money ...What the average candidate won't find elsewhere is the personal touch and concern present here. There's a dedication present that nearly guarantees employment, and there's care that inspires confidence and loyalty. Truthfully, I'm writing about one recruiter, who's been with me since I was a teenager. She's more than just a recruiter now, but she's still working with little ole me anyway. She's been a reference for me when I've been in other locations, and she's listened to and advised me when I've had misgivings about certain assignment choices. The office as a whole deserves credit too, though. I've seen them work with each other inside the agency to make the best placements possible for their clients and personnel. Being in their office, I truly get the feeling that my recruiter is not alone in this "special treatment" level of commitment (even if I am a little bias). 😉 I've seen other smiling faces there over the years, and I even met someone just last week staffed by David Wood Personnel, who had only good things to say. Because I've seen the reactions of other candidates like myself, because I have been with other agencies when out-of-town, and because my history spans my entire working career, I can give 5 stars and the highest of recommendations without blinking. They deserve it! Please note that I am not getting a single thing in return for this review. When I stumbled across this link, I thought it was just the least I could do for them after all they've done for me. David Wood Personnel has been fantastic for me. They found me a job that I can do, and do well, within my restrictions. I would highly recommend them to anybody looking for temporary or permanent work. I have used David Wood Personnel with several employers to assist with both temporary and full time openings. Their Recruiting Team can be relied upon to respond with carefully screened candidates who meet the stated position requirements. The staff has visited our office to gain a better understanding of our culture and needs. They are professional, responsive, and a pleasure to work with. David Wood is the best agency I've found. They've placed me with good reputable companies and I love my current position. My rep has always found wonderful jobs and in a timely manner. So happy they have great reps there who actually listen to what you are looking for. My rep would get 5 stars across the board. What I love about this agency is that they are very professional and very true to their word. They have a knack for returning calls promptly and very attentive to your needs as well as the client's. Their professionalism mixed with sincerity and warmth makes you feel as if you are the only person they are attending to even though you are not. I would greatly recommend DW to any jobseekers. I would give the staff at David Wood Personnel 10 stars if I could! The recruiters are enthusiastic, professional, make you feel comfortable, and are simply excellent at what they do. David Wood Personnel doesn't just place you in a position, they truly develop a relationship with you. I first contacted David Wood Personnel because I was told that they are the best and all of my expectations were exceeded. I am beyond pleased with my experience at David Wood Personnel! As a previous employee through David Wood Personnel, I highly recommend them for all of your staffing needs and assignments. They immediately responded to my email request regarding an open position that I found on the David Wood website. I was very impressed by her promptness to find a position that was a great fit for my credentials as soon as possible. I was working at my full time position within a week after my interview with David Wood Personnel. If you are in need of a temporary or direct hire position, David Wood Personnel is the company you should call before any other agency. David Wood Personnel? You can't have a better employment agency than that! I am grateful for the competent and friendly recruiter who assigns me the right jobs at all times. I feel my recruiter is listening to me and takes the time to explain each assignment thoroughly. David Wood agency has been there to serve their clients and candidates for a long time; they have a long track record of success stories. I recommend David Wood to all Companies and Government agencies that are in need of staffing solutions as well as all candidates who want to work! My recruiter is the best to match the qualifications and talent with the people who are in need for the right staffing. Thank you, David Wood! David Wood Personnel has been a great asset for me in finding employment. They are always pleasant and responsive. I recently moved to Florida from another state, and was using various web sites and agencies. David Wood consistently found employment for me. I really appreciate that. They are a great group of people and are always very professional. I love working with this agency they are very professional and work hard to find you the perfect job match. If anyone is needing assistance finding work this is the place to go. 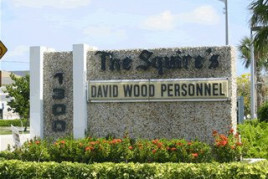 David Wood Personnel is one of South Florida’s premier professional recruiting and office temporary staffing agencies. We provide South Florida with a professional career recruiting service and office temporary staffing service with a difference. David Wood Personnel has four convenient South Florida locations so we are always close by to provide you with full time, part time or career placement service give us a call. David Wood Personnel specializes in recruiting and placing personnel in Office Support, Administration, Accounting, Marketing, Human Resources, Professional and Executive positions. David Wood Personnel is locally owned and operated and has been one of the finest career recruiting and temporary staffing agencies in South Florida since 1967. Whether you are looking for a temporary or contract employee to fill a position in Office Support or Administration or need a full time or interim executive, put our professional career placement service to work for you give us a call.